This product is a great companion to any class Thanksgiving celebration or to add to morning meeting or even just transition time. 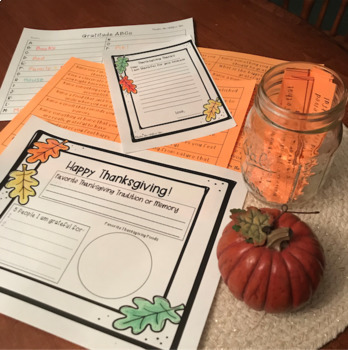 The NO PREP activities in this product are meant to bring mindfulness to the celebration allowing students to reflect and practice gratitude. 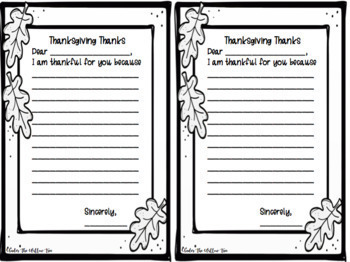 3 sheets of gratitude prompt strips equaling a total 54 Questions! Thank you so much for your interest in this product! If you enjoyed this product please leave a review and comment for TPT credits towards a future purchase! Don't forget to follow my store for updates on future products and freebies!